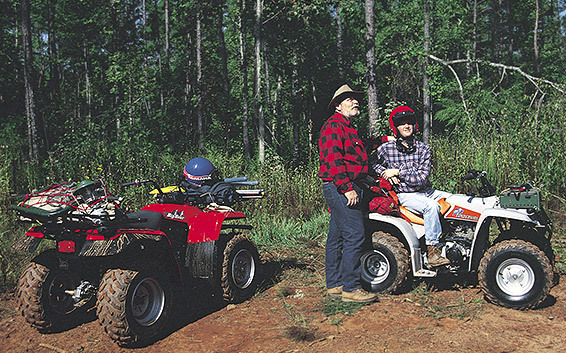 From the time Yamaha first launched its all-terrain vehicle (ATV) business, it readily incorporated the comments and opinions of customers into its products, continually made improvements by conducting demanding tests, and expanded the market with new innovations. Over time, the market for ATVs, which originated in the US, spread to Europe, Oceania, Asia, and Japan. In Japan, "ATV lands," areas reserved for unfettered, yet safe enjoyment of off-road riding, were gradually established. ATVs found non-recreational applications as well. Their excellent mobility made them ideally suited to beach patrols, for example. In Canada, whose market was next in importance to the US, Canadians eagerly embraced YMC's Big Bear. In fact, the term "big bear" became synonymous with ATV in the Canadian lexicon. 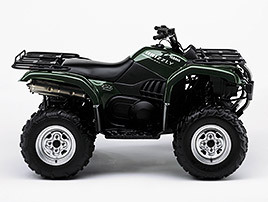 And around the world, YMC ATVs grew to become popular, well-known products. 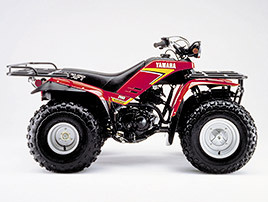 Yamaha would later expand its lineup of ATVs one model after another, including models well suited for outdoor work like the YFM450 and YFM660, the high-performance YFM660R, the mainstay YFM350 model, the YFM125, which had the feel of a scooter, the entry-level YFM80 model, and more. Another product that originated in the US is the personal watercraft. 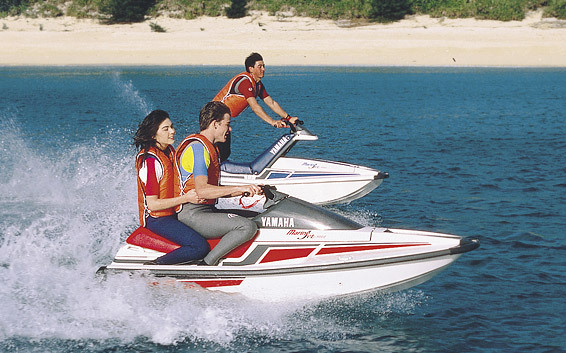 From early on, Yamaha had made prototypes of watercraft, but these forays did not lead to specific product development due to the state of the marine products business at the time. Full-fledged development began in 1983. Initially, a model in which the rider stood up was considered, but after several prototypes were developed and numerous tests run in the US, the company turned its focus to developing a new type of personal watercraft that would be safer, more fun, and more mobile, and out of this, the idea of a sit-down model was born. This concept determined the subsequent direction of Yamaha personal watercraft. 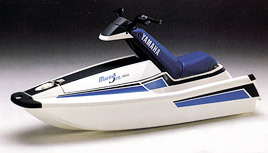 Yamaha developed a tandem model called the WaveRunner, which made an impressive debut on the US market after rolling off the assembly line of the Arai Factory in November 1986. Following that, Yamaha put out a single-rider model, the WaveJammer, in January 1987 as an additional variation. Both models created a user segment that had not existed before. Worldwide demand for personal watercraft, which had been around 25,000 units up to that point, grew to top 31,000 units in 1987, 57,000 units in 1988, and 100,000 units in 1990.